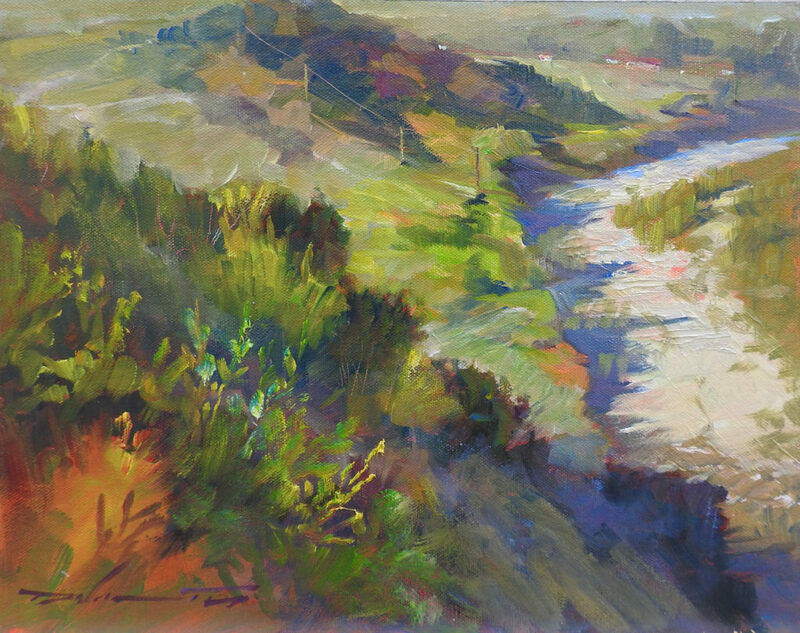 Intuition and spontaneity play key roles in the development of my landscape paintings. Expressive brushwork conveys my emotional response to that landscape, in my search to describe the “essence” behind the “form.” Acrylics and oils are my chosen mediums, for their color, liquidity, versatility, and longevity. Subjects selected for painting are images that — to me– reflect truth, beauty, power, and life. Compositional structure and color symbolism are my focus in creating a simplified order from the complexity of nature, from God’s Creation. As I paint, I seek the supernatural as it is partially revealed in the visible world: I am painting the Spirit in nature.